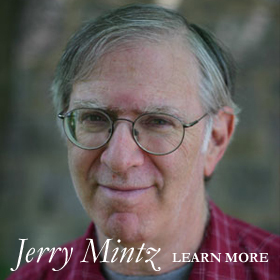 Interview With Jerry Mintz, Director of AERO – The Largest Alternative Education Organisation In The World. 4’437 words were spoken in forty four minutes so we spoke, oddly enough, 100 words a minute. And in a moment belying my inexperience at transcription, I edited out the funny bits (For example at one point my laptop started emitting frantic little beeps when I plugged my charger in – Jerry remarked “Ah, I thought someone wanted you to go outside, and was honking you. From a very small car…” maybe you had to be there?) but hey read it anyway, you’ll feel a small sense of achievement if you get to the end. Bernard – So Jerry, in your own words – what is the alternative education resource organisation (AERO) all about? Jerry – AERO is the main networker of educational alternatives around the world. We help people who are looking for learner centred educations for their children, teachers looking for such places to teach, and people who want to start new schools which are learner centred. We’re very much a non-profit organisation. Too much! We have a conference every year, we have a course for school starters. We have an online magazine, and we have an E-Newsletter that comes out regularly. Bernard – The point about being ‘too’ non-profit is an interesting one. Public education is basically a government programme, the purpose of which is to create the labour force that the economy requires. Would you agree with me? Jerry – Hmm… I think it has other functions. That may be one of them. Bernard – What are the other functions? Jerry – I think it keeps young people out of the labor force (laughs). Bernard – Until a certain age, yeah. Jerry – Yeah. It also extinguishes the natural ability to learn or question things so that they will just follow orders and do what they’re told. Bernard – But those are exactly some of the most important requirements of the labor force for the last hundred years or so. So I think that matches what I’m saying – the economy requires the diligent performance of boring busy work, so school gets them to do that. They need their three R’s (reading, writing and ‘rithmetic) so they’re handy around an office, so school drills that in. And the economy also needs obedient worker bees so schools also drill home the importance of deference to authority. Jerry – Well, it may have been a useful function for a while. Of course, John Taylor Gatto still thinks the school system is doing what it was designed to do (laughs ironically). And that wasn’t to create free thinkers. Bernard – I suppose the people on top of the system, the people who profit most from it as it is, who have their fingers in the pie – all they want from people below them in the pecking order, people in the schools and later the workforce, is for them to do just enough to keep the economic machine chugging away. Just enough and nothing more, so that they can keep their fingers in the pie. The last thing they want is to produce a population full of free thinkers who are going to reinvent the system and make it fairer and more efficient for everyone, because than they would have to share the pie, and more than that the balance of power which is stacked in their favour, could be put on a more even keel. Jerry – Well, I think there are some people who might object to this cynical approach, or call it cynical. In John Gatto’s speech when he received the teacher of the year award, he said he had some friends who were teachers, and he although he thought they were pretty good he couldn’t understand why they couldn’t get anywhere. Then he said that he realised the problem was that the system is psychopathic, and that you should take your kids out of school and teach them at home. Bernard – I total agree that it’s a cynical approach, and it’s not right. I’m just saying that it’s the way it is. And I’m wondering if we have different perspectives on it, or if you agree with me, or what? Jerry – I will help and work with anyone who wants to change the system from within. I’m just very skeptical because every time I’ve seen someone even who is doing good work in the system, as soon as they left any vestige of their work disappeared. Because the system wants to keep its same shape. So, yes we’ll help, we’ll work with them. But my feeling is that the only way to actually change the system is to work outside of it. Bernard– To replace it with a better one. Is that right? Bernard – What state of affairs would you have to have for you to consider AERO’s mission complete? Jerry – Our mission is to make learner centred education available to students everywhere. That doesn’t mean it would have to be that approach for every kid. We would still want the kids to be respected and empowered so that the parents and students would at least have the choice, if that’s the education they wanted. So that’s our mission. Bernard – How viable do you think it is? Do you think you can do it? Jerry – Well I think it’s a reasonable mission because it’s based on something that is true, scientifically, and that is that kids are natural learners. So I think as time goes on in this millennium people will realise more and more that they really must take this approach for survival. They can’t keep on producing the kind of students that they were in the last century where it didn’t matter if they were creative or if they could adapt to new job situations and so on. So I think it’s not unreasonable to think that we could move in that direction and may move rapidly in that direction. You know, just as the Soviet Union collapsed all of a sudden. Bernard – Do you think that the current education system will persist as it is? What do you think the future is for public education? Jerry – I think that with communications changing the way they are that may be the most powerful effect on things changing the way they are. For better and for worse that may drive the change. I think that 25 years from now the system probably won’t look the way it does now. There will be some similarities but it won’t look much like it does now Colleges certainly I think are in for a collapse. Bernard – Five grand would be the most you’d be paying annually for college here in Ireland per person and people here are protesting that. So when people hear how much a college education costs in the US they can’t believe it. Jerry – I know, and that’s because people have really bought into the idea that this is your ticket to a successful life economically. It will be up to us to stay ahead of the curve because those changes could happen so that education stays devoid of humanism. For example I think Goddard college which I went to when I was a kid is on the right track. It was the most radical college in the country at the time. They had a hard time explaining to parents at the time that they didn’t have gradews, students evaluated themselves at the end of the semester. They were co-educational and students could pick their own independent studies. They could create their own major. They were way ahead of the curve. But what happened was the economics caught up with them a little bt sooner than some of the better endowed colleges and they wound up almost going under because they couldn’t afford to keep boarding full time students and they did always want to use a sliding scale to some extent so that they could use the money from some students to pay the fees for students who couldn’t afford it, which was one of the ways I was able to go there. What happened is they almost closed but instead they pioneered something about 40 years before other people were doing it – a form of distance learning. What it was was people would spend a week or two per semester there and then go back home and continue their work independently and its much less expensive. And that is now the basis of the entire college and its called low residency. Those of us who went there at the time were furious that they closed the full time facility and went to this low residency method. But it turns out they were ahead of the curve again. And now the college does ok economically. So to me that model is better than studying completely in a vacuum and completely at a distance. Bernard – Like the what do you call its – MOOC’S? Massive open online courses. Jerry – And that’s the direction its going because people can make money off that. Which is ironic because my school starters course is completely online. We do try to meet at the AERO conference if they happen to make it. But you know we do the best that we can and we do pretty well considering. Bernard – And do you think for the whole child centred learning philosophy are the economics going to be a big stumbling block to rolling that out on a big scale. Jerry – No I don’t think so because I think that’s not a matter of economics it’s a matter of philosophy. I don’t think if you do it right its necessary to have more staff numbers or anything like that because the kids are working independently and of course you make sure they have the materials and resources and so on that they need. I’ve seen some schools that don’t have any different ratio than they do in regular state schools and they do fine. Bernard – How do they keep themselves afloat? Jerry – Well at one of the schools that we work with, ‘Brooklyn FreeSchool’, they use a sliding scale tuition so basically people pay what they can afford to so it’s not an elitist school and it has a cross section of students. We also do a lot of fund raisers. You have to remember that we’re competing with ‘free’ essentially, unlike other Countries than the states where you actually do get some money as a private school from the Government. Bernard – Isn’t there Charter Schools in America, isn’t that what Charter Schools are, or are for? Jerry – No. No, no, no, no. Yes there are charter schools, and no that’s not what they are. The original idea was something like that but the way it turned out eventually is that they have to meet a lot of these same standards, they have to do these stupid tests. In fact they’re very dependent on how the kids do on these tests, it’s one of the ways they decide whether or not these schools can even stay open. I know the guy who started the first Charter School, I helped him start it. He still stands behind them and all that but I think that he can’t accept that his idea has gone awry. Bernard – What if the Charter Schools didn’t have to do those same tests? Jerry – That would be one thing that would be helpful yes. Well one of the fundamental ideas behind Charter Schools is that they have to demonstrate effectiveness or they can be closed down. So how do you demonstrate effectiveness if you’re not subject to some kind of testing? It’s a problem that they haven’t solved so I’m fairly skeptical. Not only that but last year one of our school starters was bound and determined to start a Charter School, which she did, last year, and it didn’t even make it through the whole year. Bernard – Was that because of test results? Jerry – No what happened is that sometimes the funding depends on local authorities and the Charter Schools are supposed to be paid per head of student and what happened was the Local Board just didn’t pay them. They just didn’t give them the money they’re supposed to have and they had to close. This happened in Florida and there it was dependent on the local board. There are now over 6’000 Charter schools around the Country but more and more Charter Schools just resemble other schools. B – There’s a real glut of entrepreneurs looking to ‘revolutionize’ education but who are really just looking to make a profit out of education. J – That’s right and I was skeptical about this at first, I don’t really like to subscribe to conspiracy theories but it does seem true that there are business people looking to cash in on some of the dollars that are in education. B – What do you think of Sal Khan and Sugata Mitra? J – I was homeschooling a kid last year and he found Khan useful for what his own purposes were, and the other guy, he’s tapping into the fact that kids are natural learners and that’s all there is to it, they are, and it works. B – I read a couple of articles questioning the methodology and the motivation and funding behind Sugata Mitra’s ‘Hole In The Wall’ experiments . That some of the kiosks in the villages were abandoned and stuff. Articles that were just punching some holes in the hype and the science of the experiments. I’ll send you on the articles so you can make up your own mind because I can’t remember them well enough to explain properly. J – Sometimes people have a tendency to overhype their particular ideas so the truth is probably somewhere in between. But the concept is valid, I think. B – You think children are natural learners for everything? I suppose there are a few questions people who are used to the mainstream system would ask about child-centred learning, say – how are kids going to learn English, math and . . .
J – When I explain our approach to education to kids up to the age of eleven or so, they never question that. They know they can do that. But what happens is after six or seven years of operating off the paradigm that kids are naturally lazy and need to be forced to learn, it becomes self-fulfilling. Then you see kids who have had their natural ability to learn extinguished do need to be forced to learn because they’ve lost that ability. So the adults that you speak to and even the older students are kids who have been through that and it’s hard for them to look back and recall the time when they were natural learners. B – Parents main concern for education with regard to their children in my experience from talking to people tends to be first and foremost that their kids find employment and a way to make a living and second that they be fulfilled and happy with what they’re doing. Another concern would be that without assessment there would be no guarantee of college entry, and no way to fairly sort who deserves to occupy scarce college places which supposedly promise economic security. What’s your response to that? J – Well let me tell you something about that. There’s something more profound about this than you realize. Because of this school paradigm that people have been subjected to, in which they go through this hated period of time called school and then they go and can take a break and enjoy themselves and go home or take a vacation and do what they want to do. They have developed in their mind the idea that work substitutes for school, therefore work is something you do that doesn’t necessarily fulfill you. Not something you want to do but something you have to do. That’s the basis for so many people wind up doing jobs they don’t like. There’s a couple of reasons. For one because they’re used to it, and number two because by the time they look for a job they don’t know what they like anymore. Conversely if you look at kids who’ve been to alternative schools, democratic schools and even home schooling they usually wind up doing something they like. They don’t have that dichotomy, that split. So they wind up doing what they enjoy and doing fine with it because they enjoy it and I think that is more relevant to your question. B – Can everyone get a job that they enjoy doesn’t someone have to do the jobs that nobody wants. It would be lovely if we could all do things we love but we live in a capitalist society and our whole system is nearly serving the economy rather than the economy serving us. J – I don’t think that’s the way things would be. I think if you had a society of people who were fulfilled they would be creative about finding ways to take care of their needs. Just like people who live in intentional communities. What we used to call communes. People have chosen to live in them, to live cooperatively and they share the work. B – You think that’s a scalable model for communities and society? J – I think so yeah. B – As far as kids from alternative education tending to do something they enjoy a case of correlation rather than causation and that kids who enjoy that fate tend to have had a certain mind of parent and a certain amount of privilege of socioeconomic background and that’s why they end up being able to do something they enjoy. J – Its funny that question used to come up a lot, which is one of the reasons why I started the school that I did, which was in a low income area of a city with mostly low income students the majority of whom were on welfare. One of the reasons why I wanted to do that was that AS. Neil of Summerhill used to say he’d love to do an experiment like that but that the economic model just wouldn’t work for him that he had to take the people who could afford to pay the fees. But for my school, no one was ever turned down for lack of money. We had to raise the money ourselves, we were always fundraising. And those kids did every bit as well and better as kids from higher economic backgrounds. And for the most part it was the kids who found us, it wasn’t the parents. B – Is the school still open, and what kind of careers did those kids end up having? J – Well I ran it for 17 years and as I said it was run on that ideal. When I left to help a national organization of schools I tried to leave some parents In charge but it just didn’t last, part of the reason was it was never meant to be an institution because it wasn’t based off people who were rich. B – So do you think that what’s needed is more a kind of community learning resource centre to help people overcome the problems and find the things they’re looking for if you know what I mean? J – Well we’re doing our annual conference and it turns out that one of the keys of this year’s conference are people doing homeschool resource centres. One of the keynote speakers is the director of North Star which is a homeschool resource centre. Students can come and go as they please, it’s not a school they don’t have to submit anything. It’s very successful and growing and the stories of the individual kids are phenomenal. If you go to our website at educationrevolution.org, you may have to be a member to get this video, but I can send it to you, of the kids from North Star telling their individual stories where they go from being failures in the system to being incredibly successful and going to university at sixteen, it’s incredible. And not only that but they have been a model for a number of places and now there’s going to be five or six of them doing presentations at this conference. I think we’re beginning to see the beginning of a phenomenon, I think this is going to grow, very fast. B – If intentional communities are so great why don’t you live in one? J – Our office has kind of become one, we’ve got a family with a one year old living here and a couple of homeschoolers who come round. But the reason I’ve never chosen to live in one is I don’t like living in an oasis, you try to create a little bubble and that’s fine for some people but it’s not something I was ever interested in. My school was a community in itself in a way but we didn’t ever think of ourselves in those terms. I think it can be unintentional and work OK. So that’s just not any particular thing I wanted to do myself. B – Is that how you create a better alternative to what’s there? Isn’t that what the child centred education movement is doing where there’s lots of little bubbles created and then they link up until there’s a vast galaxy of them. J – Yeah I think that’s fine and it can work that way. I’ve been a little surprised to find that a lot of intentional communities don’t put as much energy into their education of the kids as you would expect. But that’s a whole other subject, we won’t get into that right now. B – I suppose it is yeah. As far as the whole school starter course goes, I’m a 20 year old student and maybe it’s still only a bit of a dream for me and I probably won’t do it in the immediate short term. But as far as the financing of it and the fact I wouldn’t be a trained teacher and legislation would be there around someone setting up a school, what would your advice be on all of that? J – You might very well wanna go in the direction we were already referring to. You right now could organise a homeschool resource centre. I don’t know what the law is for home schooling in Ireland, but in England and Scotland it’s not that hard. And if you do it like that nobody cares what qualifications you have, because the parents are taking the legal responsibility for their children. I started my first school when I was twenty three. So you’ve got about a year or two. B – Two and a half years. Ok, I’ll work on it. J – It all depends on the law, you really need to check the laws where you are to find out the best way to go. B – For somebody who does share your criticisms of traditional education what’s your advice for AN ordinary person who wants to contribute to the education revolution and the solution? J – Well I think you’ve really got to do it for yourself, I think that’s important. Have you heard of a guy called Blake Boles? J – He’s going to be one of the speakers at our conference and he’s written two or three things. One is called ‘College without Highschool’ and another called ‘Zero Tuition College’, and he’s an interesting guy to look at. And another one called ‘Better than College’. He discusses alternatives to doing things In the way they’ve always been done. B – Finally, Is second level education failing its students? J – No, they’re all failing. Not just second level: Primary, secondary and Higher Education, because they take the wrong paradigm. And here’s the key when you talk about second level education and some of the innovative things that are happening in it – you better look at them carefully, because those innovative things may still be using the old paradigm, just sweetening it up a little bit, but it’s still the old paradigm, and that’s still not going to work. B – One more time could you explain the difference between the old paradigm and the new paradigm? J – The old paradigm is that kids need to be forced to learn. Now you can trick them into it, you can manipulate them into it, you can motivate them into it, that’s still the old paradigm. It’s based on the adult knowing the answers and having a direction they’re going to steer you in. Whereas the new paradigm is that if you believe the kids are natural learners, then they go where they need to go, and they know where they need to go. And you’re job is to listen to them and help them go where they need to go. You just create the right environment in which they can learn what they need to learn and if they need help they’ll ask you. B – What do you say to the issue that there’s so much stuff being thrown at them from the media and stuff like MTV etc. That’s not really healthy for anyone as it’s just a whole bunch of people trying to make money off young people and looking for their mental real estate and that perhaps if you let people go where they go than those things are going to tell them where to go? J – I think that if kids are learning in an environment where they really have choices and can go in the direction they want to go in they will develop media savvy. Also the teacher doesn’t abdicate the responsibility for creating an environment in which its easy for kids to learn the things they want to learn. B – Alright Jerry, thanks so much for talking to me, it’s been great talking to you and I appreciate you taking the time to do this. Best of luck with everything. J – Ok and next time we can talk more about what you need to do to organize your education alternative. B – I’ll have a look at the laws so. Ok Jerry, I’ll talk to you again. J – Take care, bubye. ← Empathy and common courtesy as the cure all for education?